I go back three years from last month's post on the 1990's to the year following Jerry Garcia's return. 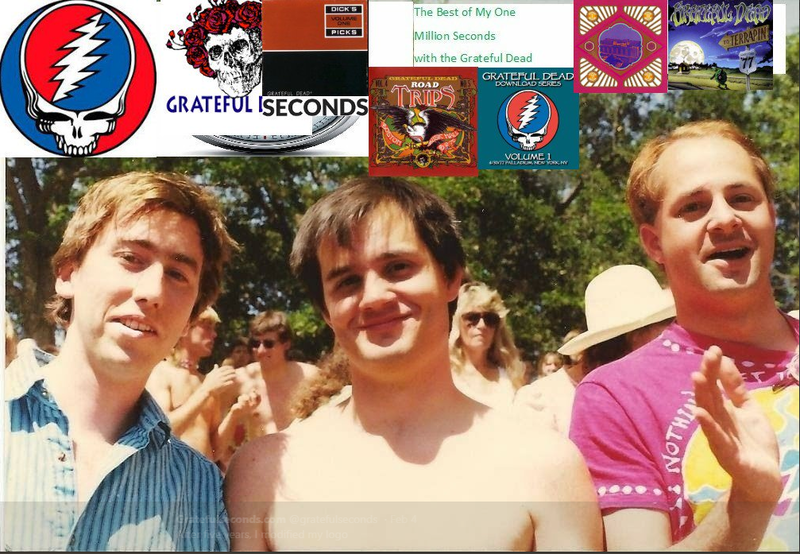 After Jerry came back from his coma, The Touch of Grey Dead doubled their average yearly ticket sales from 600,000 a year range to an average of nearly 1.4 million in the last three years of 1980's. The Dead moved up from an average venue size of under 10,000 in the earlier 1980s to the 18,000 range, including many more stadium shows, which would become de rigueur in the 1990's. seven shows. 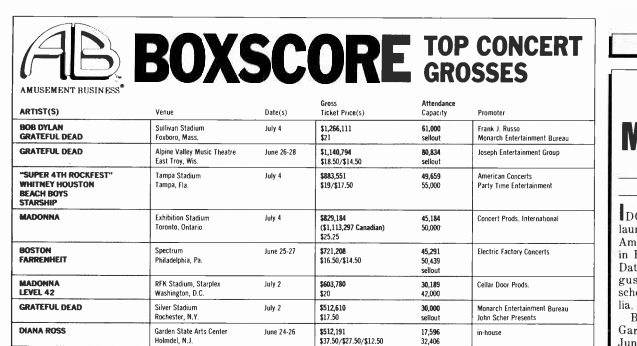 For comparison, all 41 shows in 1976 saw about 344,000 sold. This "tour" (not including the Dead only shows in July) was the first tour that averaged $1 million per show. I only saw July 24, 1987, which was my 79th show of 80. I moved to LA to go to UCLA in August and only saw 12-16-1994 after. Next I will be covering the economics of 1987-1989.